With a sole focus on assisted living, CareOne at Livingston Assisted Living helps residents live vibrant, independent lives—with the comfort of knowing that a helping hand is always close by. Our spacious apartments provide all the touches of home, and our wide variety of social activities contributes to our residents’ continued health and well-being. Most important, our comprehensive support services enable residents to receive the level of assistance that meets their individual needs. CareOne at Livingston Assisted Living also features a dedicated Harmony Village unit, where residents who have Alzheimer’s disease, dementia or other memory conditions receive specialized memory care while living their lives to the fullest. 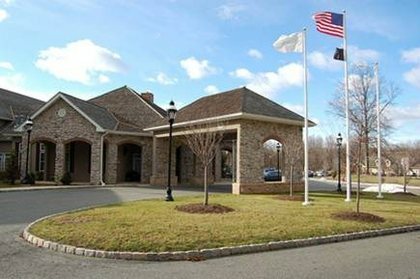 CareOne at Livingston Assisted Living shares its campus with CareOne at Livingston nursing and rehabilitation center, offering a complete continuum of care.